Available in caramel or black leather seat, black matte frame. Stainless Steel frame. Available in Counter and Bar size. Molded corion tractor seat, solid oak legs, blackened steel brace. Available in Bar or Counter size. 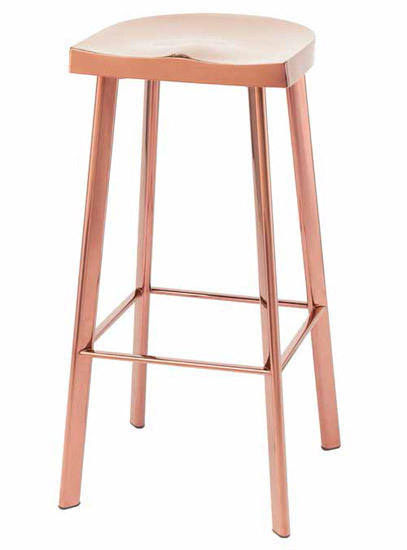 The Venice Stool is a great option for modern interiors. This beatiful stool is not only stylish but also offers great comfort for long dinners or quick snack at the kitchen island.